Cryptocurrency has seen a surge of activity in the past year, but many people are still nocoiners, an affectionate term for a friend who owns no crypto. Fear not -the process isn’t much more difficult than buying foreign currency. If you want one of the major coins, like Bitcoin, Ethereum, or Litecoin, there are many solutions. Coinbase is very user friendly, and the company was founded in 2011. It’s on the web, and Android and iOS. For a fee, a user can trade USD (United States Dollar) for Bitcoin, Bitcoin Cash, Ethereum, or Litecoin. You will be asked to provide some personal information for verification. When you make your account, keep it safe by selecting 2-factor authentication. You’ll need to download Google Authenticator, but when you log in you’ll be asked for a code from the Google Authenticator app to help verify that it’s actually you logging in. You can then link your bank account or credit card. Please remember that cryptocurrency prices can fluctuate wildly at the drop of a hat. The process to buy on Coinbase is as easy buying anything online, but here’s a step by step walkthrough if you need it. All cryptocurrencies have transaction fees, but Bitcoin’s is particularly high lately, so I recommend Litecoin or Ethereum as a base. Once you buy your crypto, it takes about a week to hit your account. If you’re a more technically minded person, you can trade for free on GDAX, Coinbase’s exchange. Another low fee option is Gemini, operated by the Winklevoss twins. There, you can buy Bitcoin and Ethereum. There are hundreds of altcoins and ICOs aside from the major players mentioned. Coinmarketcap is a great site to see all the trending coins and how they’re doing. A personal favorite on the altcoin side is Dogecoin. My favorite altcoin site is Bittrex because they have a huge number of altcoins available, and have been around for a long time. However, the influx of new users to the crypto space in December and January caused many trading sites to close their doors to new account signups. If you can’t make an account on Bittrex, try Cryptopia or Poloniex. These sites are a bit more complicated, but you should see a wallet in your settings. If you bought litecoin from Coinbase, go back to that window and open your litecoin wallet. In another tab, login to the altcoin trading site (exchange) you chose, and find where the wallets are on that side. You want to deposit litecoin to the exchange (we’ll use Cryptopia as an example) from Coinbase. On Cryptopia, you need your wallet address, which is a multicharacter string that is your unique identifier. Think of it as a bank account number. Copy that string, and find the Litecoin wallet on Coinbase with the coin you purchased. You’re going to paste that string in the recipient field, and put in a small amount of litecoin to test the send with. It may take up to 10 minutes to confirm. Once you’re sure the transaction went through, send the rest of the litecoin that you want to use for trading. Once your coins are in Cryptopia (or other altcoin site), look for DOGE. That’s the set of symbols for dogecoin- every coin has a shortened symbol, like stocks do. you’ll see some fancy graphs, and usually a column for buying and selling. Put in a price that you’re comfortable purchasing at, and the amount of coin you want. Most sites will also add transaction fees on top, so save a bit for that. After you buy your doge and the transaction goes through, you want to put it in a better spot. Never ever ever ever leave more money on an exchange than you’d be ok with losing. You have a few options at this point. A lot of people are pushing hardware wallets (special USB keys that store coins), but if you’re just buying a few dollars of dogecoin, its overkill. The dogecoin core client is great, but the blockchain (dogechain) is pretty huge, and takes forever to download. This is the best option for doge, though. Reddit has a great ELI5 walkthrough of that wallet. On the mobile side, I’ve been having problems with Jaxx and Dough wallet on iOS, and can’t really recommend them. Edge wallet (iOS) has plans to add doge, but hasn’t yet. I heard nice things about coinomi on Android. 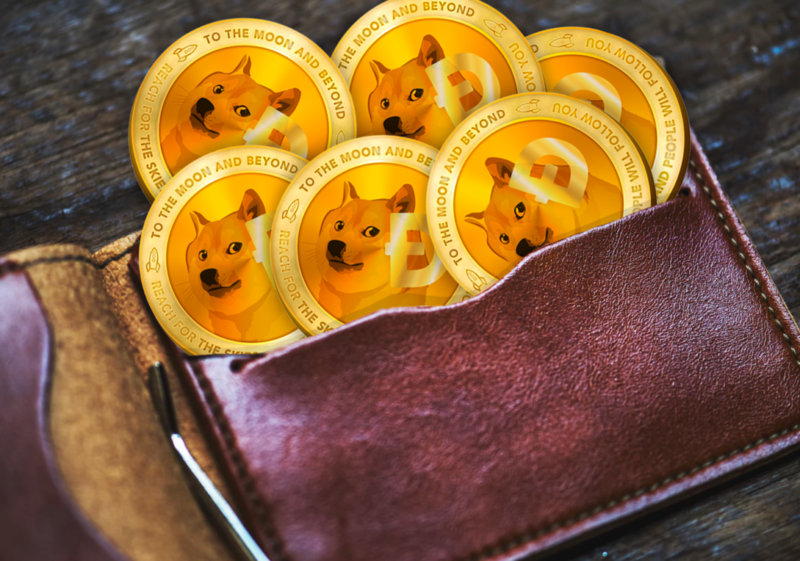 After you get your doge, you can keep it, trade it, or spend it. Unlike other coins, 1 doge = 1 doge! Want to learn more about cryptocurrency and want to go deeper in the rabbit hole? Check out our friend @Sabotagebeats‘s googledoc of resources! This post also appears on Pinguino’s steemit!